Hoping everyone had a great weekend! 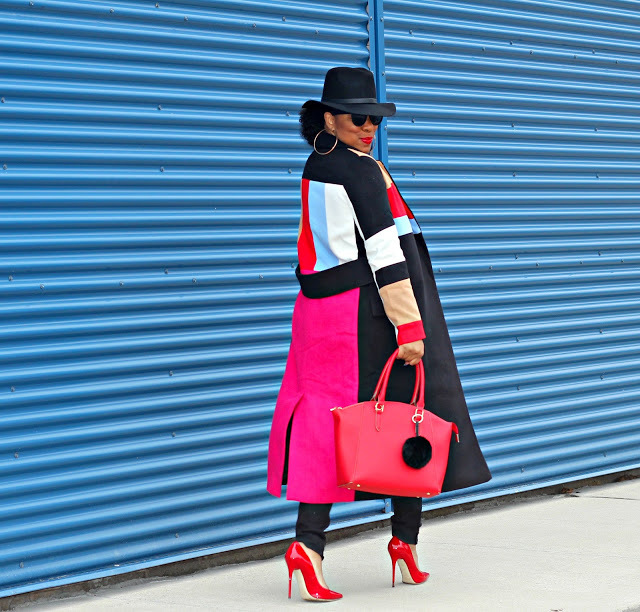 Without further adieu, let's get into this fabulous, eye catching, color block coat. I am absolutely obsessed with it. Please understand, I am not the coat wearing type of girl. 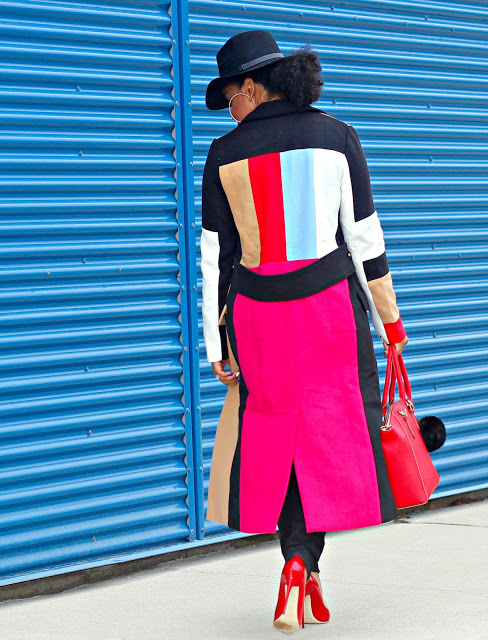 I love the looks of coats and what they add to an outfit but as crazy as it may sound, I view them as an inconvenience. So, although I own tons, I rarely wear them unless it's EXTREMELY cold outside. Typically, I'll throw on a leather coat and pile layers underneath or on top. Now considering all of this, I wear this coat every opportunity I get...it totally brought me out of my "coat funk". It is also a known fact that I have a thing for color, so it totally fits my style aesthetic. 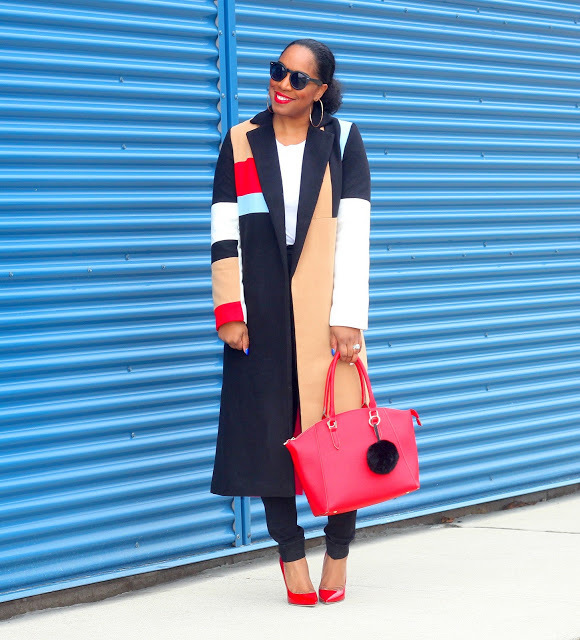 The coat is the statement piece of this look. So I just built around it by pairing it with a pair of black denim ripped skinnies, a plain white top to bring out the white in the coat. 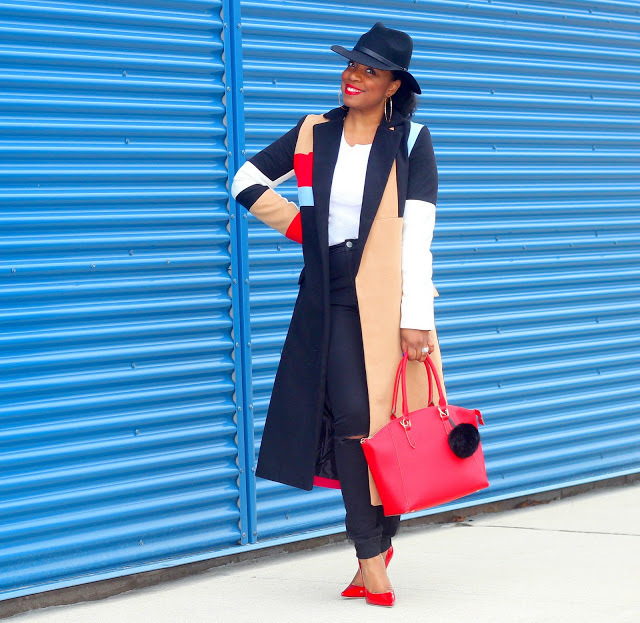 I added pops of red as my accent color and adding the hat was a must to pull everything together.